The Lapp Group is now offering its new ÖLFLEX® VFD 2XL SYMMETRICAL motor and drive cable for high horsepower applications—including pumps, compressors, conveyors, elevators, extruders and more. Rated for voltages as high as 2,000 V, this large gauge cable offers three symmetrical grounds and features a helical copper tape shield. 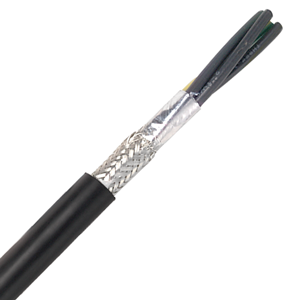 This robust, oil- and UV-resistant cable delivers a minimum bend radius of 15 x cable diameter. It also offers a low-capacitance design, a test voltage of 6000 V and class B stranded wire conductors. 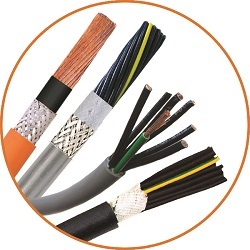 The cable’s construction includes bare stranded copper conductors, XLPE plus insulation, three bare stranded copper grounds and the helical copper tape shielding. In addition, a specially-formulated black thermoplastic elastomer jacket provides extended temperature resistance from -40 to +105°C for stationary use and -25 to +105ºC for flexible use.